Podiatry is the diagnosis, treatment and management of foot and ankle related conditions. 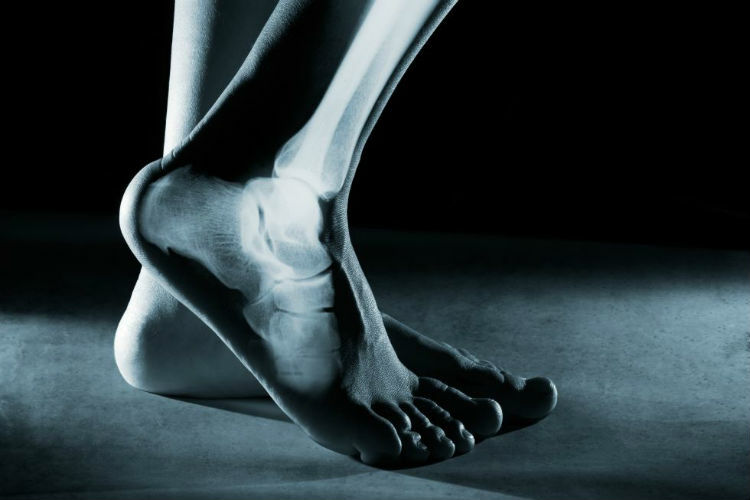 Podiatrists also study the movement of the body and how each joint can affect another, therefore, Podiatrists can treat and manage lower limb and upper limb conditions such as the knee, hip and lower back pains. Podiatrists also have the ability also to prescribe medications and perform surgery if necessary. A Podiatrist can treat anything from a simple skin lesion to corrective foot surgery and anything in-between where the foot and ankle is concerned. Rob, our Podiatrist is also trained in specialist biomechanics, observing body mechanics and how the feet control the joints above them. You will first receive an assessment of your condition which may include a biomechanical assessment and video analysis of your gait and/or running style. Rob will diagnose your condition and prescribe appropriate treatment which may include corrective techniques such as taping and provision of orthotics which Rob makes and provides through his own lab. Rob is also able to provide a full range of Chiropody services if required. Rob works as part of the multidisciplinary team at Courtyard and will liaise with our Physiotherapists and Chiropractors as well as Orthopaedic Surgeons to help treat common conditions such as knee, hip and lower back pain. Coming from a science and mechanical background I fell in love with medicine and its mechanical side while studying in Canada. Qualifying as a Biomechanical Musculorskeletal Podiatrist has taken me all over the United Kingdom, Ireland, USA and Canada to practice and lecture.